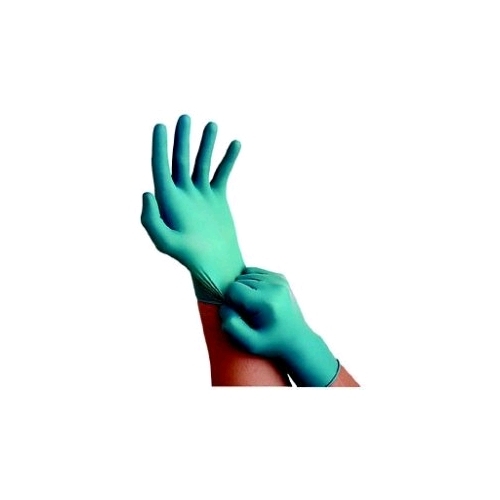 Ansell Touch-N-Tuff Premium Disposable Nitrile Gloves Lightly Powdered on Sale Today! 100% Thin-Mil nitrile. Resistant to nuisance nicks, cuts, and abrasions. Offers superior splash protection against irritation of chemicals. 9-1/2" Rolled cuff. Disposable. 5 Mils thick. 100% Nitrile AMBI. Teal color.